The programme has to be inograted under the presence of MP & MLAs. 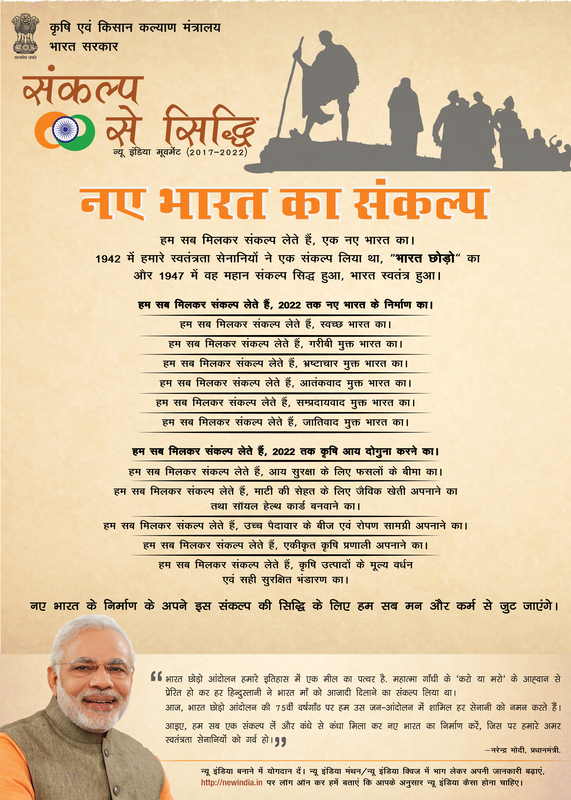 Sankalp of doubling farmer income has been taken by all the farmers a part of New India Manthan. Technical informations have been delivered by experts to farmers. Chief Guest's Remarks:He emphasized that the income of farmers must be double by adopting drip irrigation, value addition, low cost-no cost technology. He also aware the farmers about the “KHEDUT MAL PARIVAHAN YOJNA” of State Govt. Post Event Details:. Shri Kantibhai Gamit, MLA-Songadh, Shri Mohanbhai Dhodiya, MLA-Mahuva, Dr. C.J.Dangaria, VC-NAU, Navsari, Shri I.J.Mali, RAC-Tapi, Shri B.B.Chaudhari, I/c DDO-Tapi, DAO-Tapi, DDHO-Tapi, DDAH-Tapi and 937 farmers of Tapi district were remain present.They all were emphasized on doubling the farmers income by adopting the latest agricultural technologies and various schemes of State and Central Government.